At this year's HBR Show at the NEC, there were many of our old favourite exhibitors and a few new ones as well. Some of them were so innovative and creative that I'm certain our interior design and landscape design clients would love to know about them. 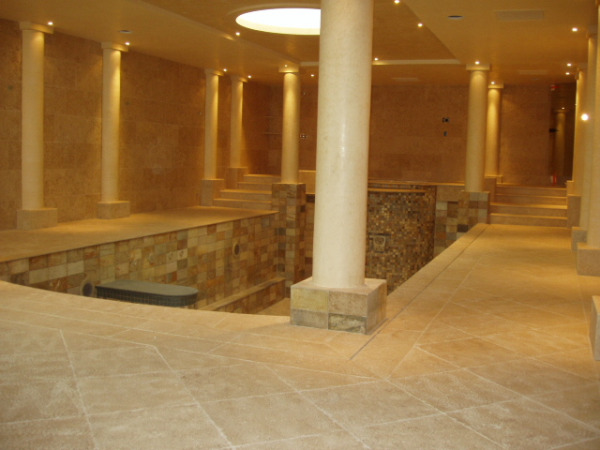 Finding the right natural stone for projects where the same material is used throughout indoor and outdoor spaces can be a challenge. As well as meeting all the usual aesthetic criteria such as colour, pattern, texture etc., the stone also needs to perform well for frost resistance, durability and slip resistance. 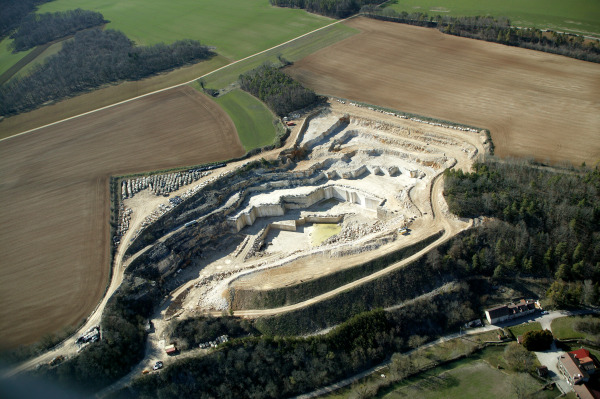 Last week, Steve and Denise visited the Ampilly quarry in Burgundy, France, to research options for an upcoming project. 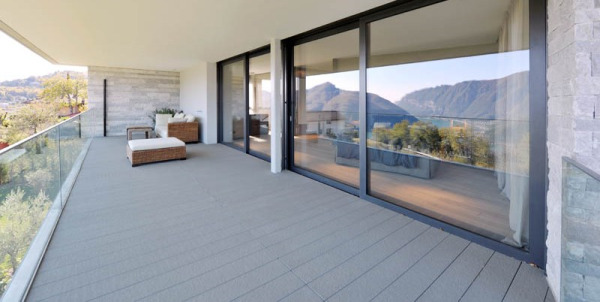 We were looking for a French limestone flooring that could be supplied in a variety of sizes, thicknesses and surface finishes and could also be cut for steps and wall copings. 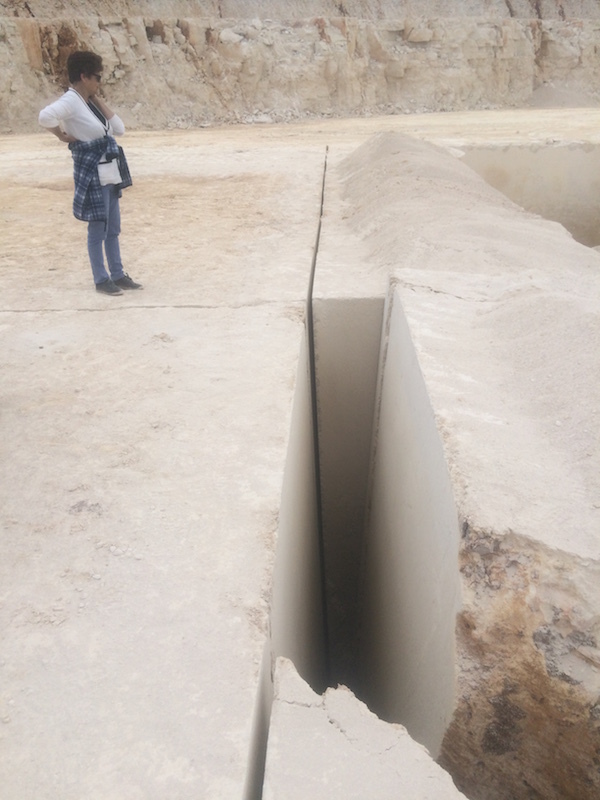 We had used Ampilly for the terrace at Amarestone HQ (pictured below) so it is a stone that we already knew quite well but this was the first time we had made it out to the quarry. A few years ago, I came across the Chamesson limestone that had an off-white background with a faint scattering of grey shells that drifted across the face of the stone in wispy lines. For a pale limestone, it was unusually hard and it was perfect for a project to create some display cabinets for a famous perfume and underwear company. We supplied limestone panels for their perfume displays that can still be seen in a number of airport duty free centres around Europe. We are currently working on a new video clip for Amarestone that shows a few of the things that inspire us as a company. Our work involves a degree of creative vision and it's an aspect of the business that all of us really enjoy. Fire Damage in Historic Buildings. Fire in historic houses has hit the headlines a number of times already this year. 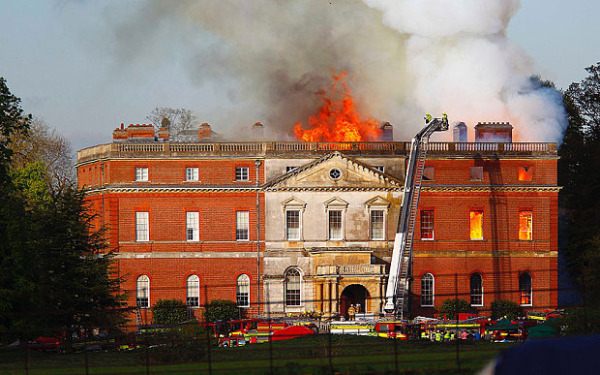 The most recent being a devastating fire at the National Trust's Clandon Park just this week. We are members of the National Trust and have visited Clandon many times so we are very sorry to hear the news. 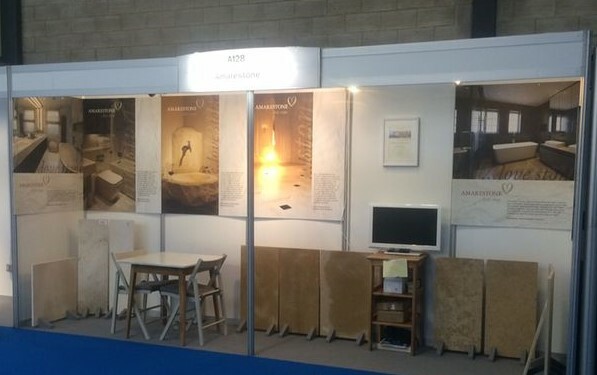 French Limestone at Ecobuild and HB&R Show 2015. Over the last few weeks we have been busy rushing from one part of the country to another for trade shows, quarry visits and client meetings. March is always a busy time of year as spring gets underway and projects that have been in the planning stages over winter start to gather pace. 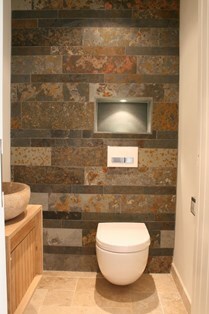 At the beginning of March we were at Ecobuild which took place at Excel, London. This year we decided to team up and share a stand with the Stone Federation, our industry trade organisation. Finding rare French Marble for exclusive projects. Last week, we took a trip under the channel into Northern France to look at a rare French marble, Napoleon Lunel, for a prestigious project in Berkshire. To get a good impression of how the finished product would look, we needed to see a sufficiently large block of the marble. So we made the trip to the quarry and brought back some samples for the client. With space at an all-time premium in the capital, many of us are looking for ways to get more from our existing homes without upsizing. Improvements can also add significant value to your property, especially when carefully planned to make the most of the space. 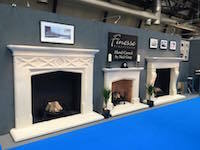 Recently, Amarestone exhibited at the Homebuilding & Renovating Show at London’s Olympia. 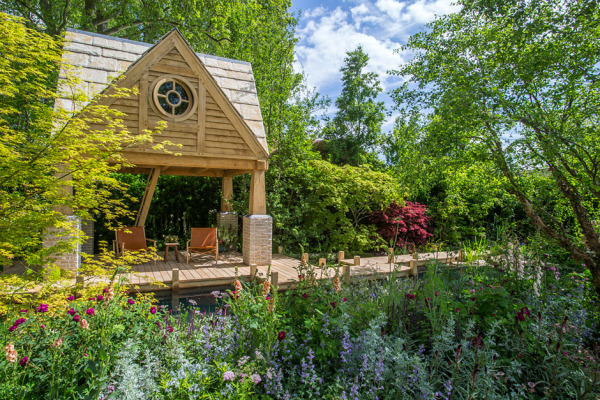 Over the course of the show we chatted to homebuilders and renovators with projects ranging from small scale refurbishments through to ambitious new builds. One of the key requirements for the surface finish for a swimming pool surround is slip-resistance.